Japan Airlines is expected to open a Tokyo Narita-Seattle service, according to a report from the Puget Sound Business Journal. This meshes with JAL's own management plan, which calls for a new service to the US West Coast in the short term. Such a flight represents the next stage of growth in the trans-Pacific market. CAPA's Americas Aviation Summit on 16 and 17 April 2018 in Houston will address topics relating to North America-Asia growth. Asian airlines have been expanding on relatively easy routes where there is strong O&D or a partner hub. But increasingly Asian airlines will have to enter competitive markets, grow partnerships, and even enter a competitor's hub. China Eastern was reported to be interested in service to United's Houston hub, but this has not eventuated. A Star or oneworld airline may be interested in services from Asia to Atlanta. US-China open skies will reshape the market. China's growth is significant but sometimes obscures the rest of Asia, and in particular the need for airlines to link Northeast Asian hubs with developing traffic out of Southeast Asia. Asia's airlines will increasingly serve the hubs of competitors. US-China open skies will have a profound effect on trans-Pacific and intra-Asian aviation. It is important to have multiple partnerships, but difficult to manage. China is growing, but so too is Southeast Asia. Market access is challenging. Asia's airlines are continuing to embark on what they consider to be once-in-a-lifetime long haul growth. Nowhere is this more significant than in mainland China, whose airlines have been busily opening over 100 new intercontinental destinations since 2006. Japan too remains a key market, still retaining a strong proportion of premium travel and relatively high leisure yields. Under the US-Japan open skies regime, JVs can be forged - at least between the respective oneworld and Star Alliance partners. But in the US-China market, where Chinese carriers dominate, lack of progress with open skies discussions and patchy relationships between both countries' respective airlines could put Chinese growth plans in check. There has been some move to acquire equity holdings in Chinese major airlines, with American into China Southern and Delta linking China Eastern into an intriguing mènage à quatre with Virgin Atlantic and Air France-KLM. China-US market in focus: Does anyone in the US now want open skies? Does the Japan JV example offer any solutions? How even is the playing field between China and the US? What is limiting US airlines access to China's key markets? - The characteristics of the market? How important is the Japan market in the long term? Are non stop ultra long haul services from the US to south and north East Asia sustainable for the network carriers - or is the market too price sensitive? How important is it for US network carriers to maintain capacity on strategic routes to defend market share? The easy work, the low hanging fruit, is broadly over for trans-Pacific growth. The next phase will require airlines to be more sophisticated in opening new markets or growing in existing points. New markets may not be a natural hub, due to partnerships and O&D traffic. Expansion may require an airline to enter competitive markets. For example, JAL's reported Seattle service comes up against service from ANA and Delta – sizeable competition for a medium sized market. Yet JAL's presence gives a nonstop option to JAL and oneworld's corporate segment. Airlines will need to consider a competitor's fortress hub. SkyTeam's China Eastern was reported to be interested in service to Houston, the hub of Star's United. Atlanta, home to SkyTeam's Delta, is attractive to Japanese airlines since it is a corporate base and gateway to the American south, where there is Japanese auto manufacturing. Airlines will need to take more risk but they can be encouraged, and expect a risk reduction, from successful airport and tourism partnerships. The single biggest development for the trans-Pacific market will be open skies between the US and China. Open skies will allow joint ventures. It may be the lure of joint ventures that will results in airlines pressing their governments for an open skies deal. US-China open skies will likely result in other trans-Pacific markets improving access (even if stopping short of full liberalisation), while intra-Asian markets may also liberalise. For example, China is probably concerned that open skies with Korea would allow Korean operators to grow transit China-US traffic, since Korea already has open skies with the US. But if China and the US have open skies, there is reduced attraction for transit traffic. The US-China open skies matter was discussed at CAPA's 2017 Americas Aviation Summit in Orlando. from doing so is becoming larger, but also increasing is the challenge of managing multiple partners. The challenge of liaising with more than one partner is amplified when one partner is in a deeper cooperation pact, such as a joint venture, and might expect exclusivity. Three main market developments mean that Asian airlines need to increase partnerships to gain more access within the North America market (and increasingly to Latin America, too). 1. Growth and overcapacity: Significant market expansion has occurred faster than demand, creating overcapacity. 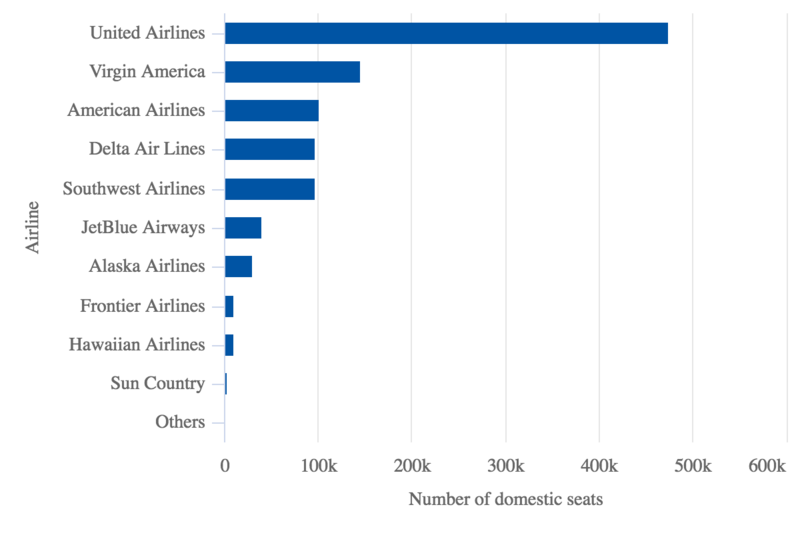 Airlines are under more pressure to diversify their network reach beyond trunk markets and to sell more city pair combinations. Strengthened North American partnerships help to improve interior access to North America, as well as catering to growing Latin America traffic. Using North America as an international hub is growing, despite stopover visa requirements, particularly stringent in the US. EVA Air has noted that its partnership with United Airlines is very limited, and means that only a single digit percentage of its traffic connects beyond a US gateway. 2. New North America gateways: For an Asian airline to bring more North American cities online, it will have to consider markets that are not so easy. Previous network additions are characterised by having either high O&D traffic and/or having a long-standing partner being based there. Bringing new markets online will mean that airlines have to work with new airlines. This may produce a simple interline with one of the North American majors or a codeshare with a North America-only airline – such as Alaska Airlines, JetBlue and WestJet. In markets like Boston and San Francisco, a non-major US airline provides significant scope and partnership opportunity. JetBlue partners with oneworld's Cathay Pacific and Japan Airlines. Their oneworld partner American has a limited footprint in Boston. In San Francisco, Virgin America/Alaska Airlines are a favourable partnership option for airlines that cannot partner with United. 3. Negotiating leverage with US majors: The major airlines in North America typically have the widest networks for destinations and frequency. Their transformation over the past decade has created financial sustainability and vastly improved onboard experiences for passengers. Consolidation has strengthened the ability for North American airlines to shape markets. Yet foreign airlines have regarded this confidence as arrogance that North American airlines can try to receive the upper hand in partnerships. Having a second North American partner allows Asian airlines to leverage rates, benefits, and other partnership details. For North American airlines in Asia there are similar partnership drives. One of the most dramatic changes was American Airlines' need for interior China access, a strategic priority that resulted in American Airlines investing in China Southern, despite the two being in different alliances. 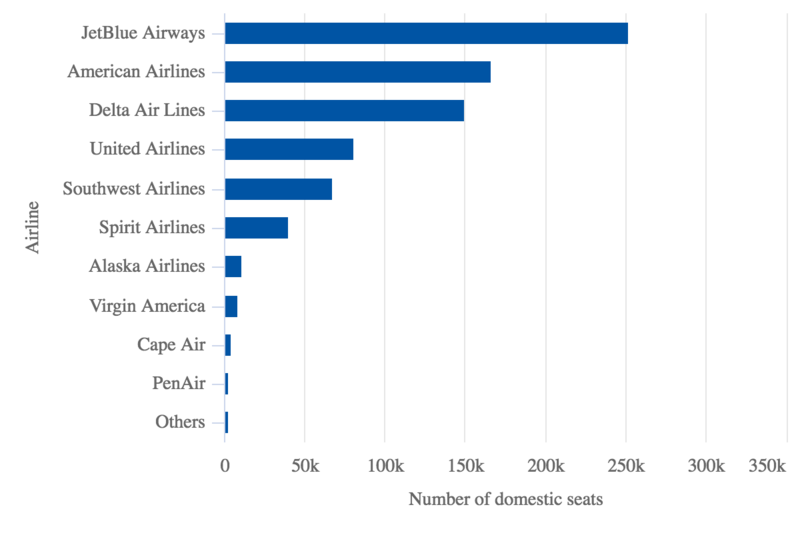 North American airlines have typically held the upper hand in negotiating for market access, since historically they gave far more North American access than they asked for in Asia. North American airline growth in Asia has given them a need for more partnership access. Cathay Pacific is a long-standing operator to North America, but it was only in recent years that Cathay's partner American Airlines launched services to Cathay's hub in Hong Kong and needed beyond market access. WestJet's entry into Asia will be interesting from a partnership basis, since for a long time WestJet has given short haul access to Asian airlines. Before, the arrangement was mutually beneficial, but now WestJet is a potential competitor. There is no doubt that the growth of Chinese aviation and travel is major. But often China's growth obscures other expanding markets. Southeast Asia is a major traffic source for North American flying. Nonstop Southeast Asia-North America flights will be the exception and not the norm. Even with some nonstop flights, intermediate airlines will be able to carry significant volumes of traffic, including some at very good yields. Although overcapacity may be the immediate description of Asian aviation, the market in some prominent scenarios has fallen behind on capturing demand. Constraints may be infrastructure, air space or traffic rights. A worrying development is that governments may lose sight of the undeniably strong economic impact of aviation growth and instead grant market access as part of wider deals, official or more opaque. There have been some efforts to grow connectivity with India, since Asian hubs have an advantage serving the West Coast of North America compared to Gulf and European hubs. Yet the presence of Gulf airlines, with their strong size and aggressive pricing, makes it difficult for the trans-Pacific market to compete. Yangon was the last major market that the Southeast Asian airlines connected to. There have been other examples (such as ANA adding Phnom Penh) but overall, airlines are waiting for hurdles to clear before they make much needed additions to regional Asia flying. Americas Aviation Summit – 16/17 April 2018, Houston. Asia's airlines are continuing to embark on what they consider to be once-in-a-lifetime long haul growth. Nowhere is this more significant than in mainland China, whose airlines have been busily opening more than 100 new intercontinental destinations since 2006. Japan too remains a key market, still retaining a strong proportion of premium travel and relatively high leisure yields. Under the US-Japan open skies regime, JVs can be forged – at least between the respective oneworld and Star Alliance partners. 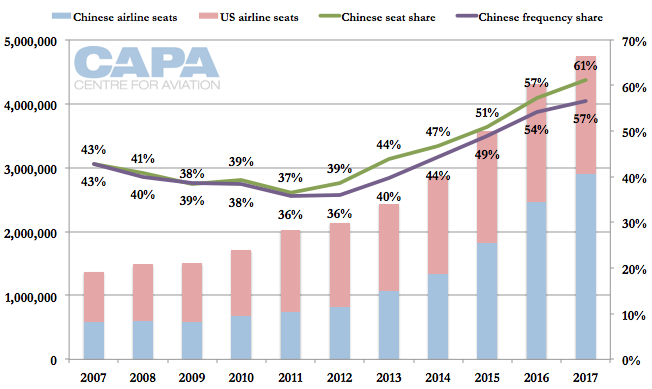 But in the US-China market, where Chinese carriers dominate, lack of progress with open skies discussions and patchy relationships between both countries' respective airlines could put Chinese growth plans in check. There has been some move to acquire equity holdings in Chinese major airlines, with American into China Southern and Delta linking China Eastern into an intriguing ménage à quatre with Virgin Atlantic and Air France-KLM. Are nonstop ultra long haul services from the US to south and north East Asia sustainable for the network carriers - or is the market too price sensitive?